I love serving punch at practically all events I host. 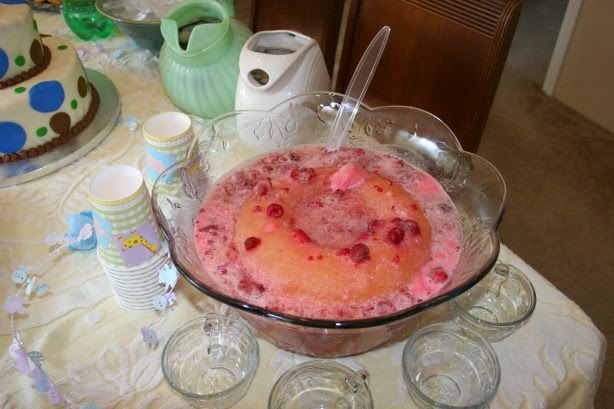 This refreshing punch is perfect for a summer party, bridal shower, mother’s day party, or wedding shower. It’s not only pretty but quite tasty. Enjoy! Prepare ice ring a day ahead of time. Place lemon slices about 1 inch apart over frozen lemonade. fruit. Cover and freeze until firm. Yield: about 5 1/4 quarts punch. This entry was posted in Uncategorized and tagged Beverages, Holiday Recipes, Party Food by Debbie Reynolds. Bookmark the permalink.